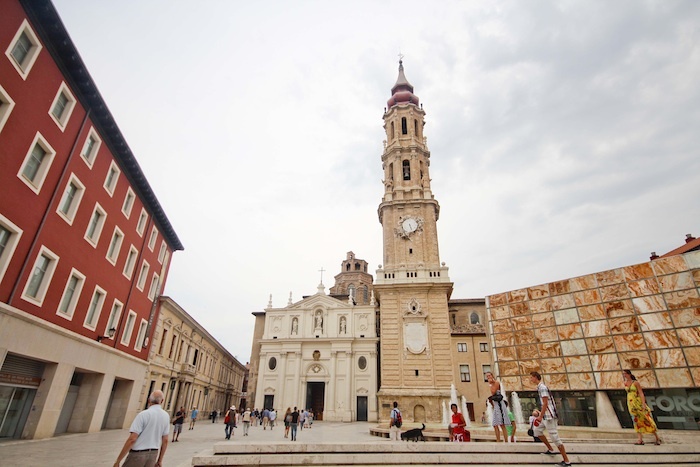 I first met the Aragonese city of Zaragoza in Spain during lunch. Our train, the historic Tren Al Andalus, had just arrived at the Delicias de Zaragoza train station at half past one in the afternoon. We only had a few minutes to freshen up before being rushed into the coach that would bring us to a restaurant called Bal d ‘O, right in the middle of a shopping complex called Puerto Venecia. It was more than 35 degrees Celsius outside and our little group was getting fidgety because of the heat. We were herded into the Spanish fusion restaurant owned by Michelin star-decorated Aragonese chef Josechu Corella. We were surprised at how modern and industrial the interior of the restaurant was. In fact, some of our companions were disappointed that we weren’t going to eat in a traditional Spanish restaurant. 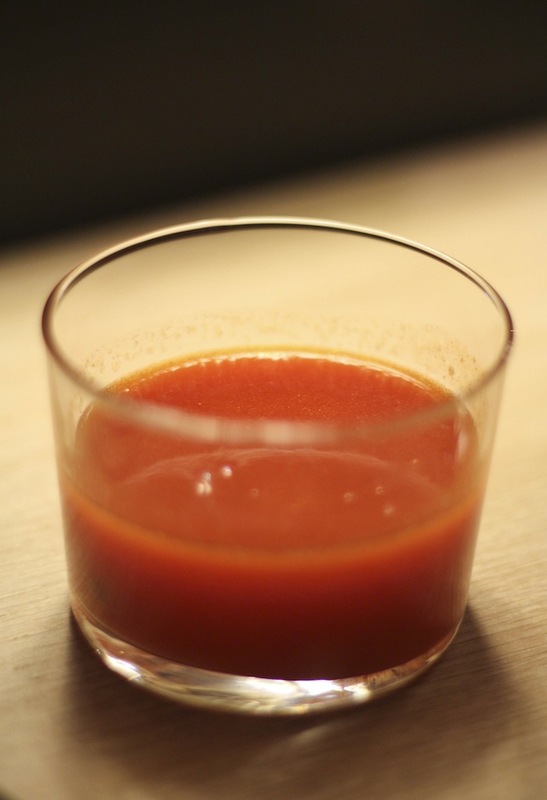 Then the waiter served Zaragoza to us, first in a glass of gazpacho. Strictly speaking, the refreshing cold soup is not of Aragonese origins. It is in fact part of Andalucian cuisine. 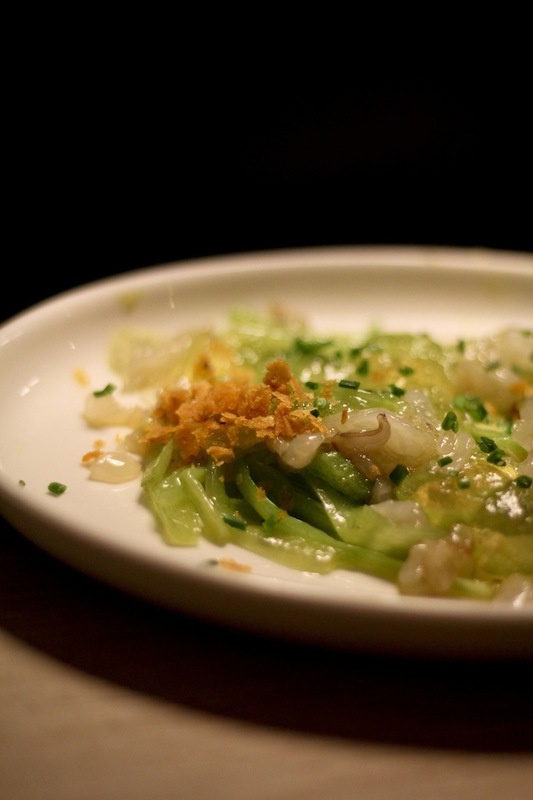 But somehow, this restaurant managed to put its own spin to it, using only fresh ingredients from the region. Then came the ensalada. Made from locally-grown vegetables, it was surprisingly refreshing, like a cool drizzle on a hot summer day. 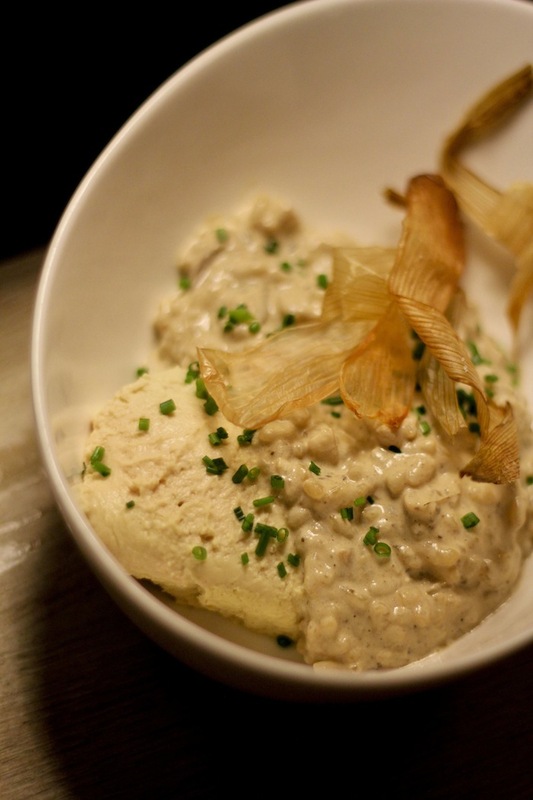 Next, a bowl of Risotto with mushrooms and foie gras. The trio performed a sublime medley in my mouth: creamy, buttery, and heavenly! 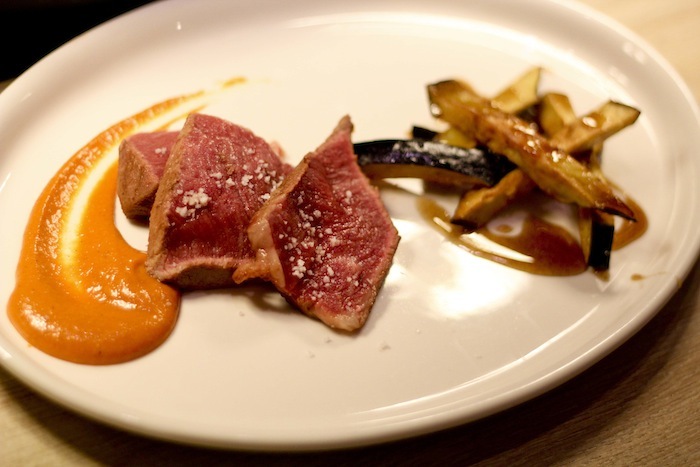 For the main course, there was Iberian pork sprinkled with sea salt and served with eggplant fritters glazed with caramel sauce on the side. The pork, cooked rare, initially scared me off. 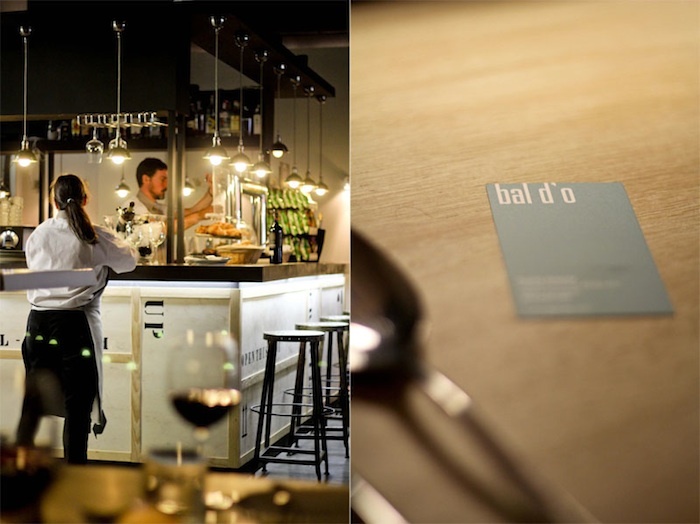 But the waitress explained that this is a normal reaction among Bal d’ O customers. “Not to worry. It’s perfectly safe,” she said in Spanish. 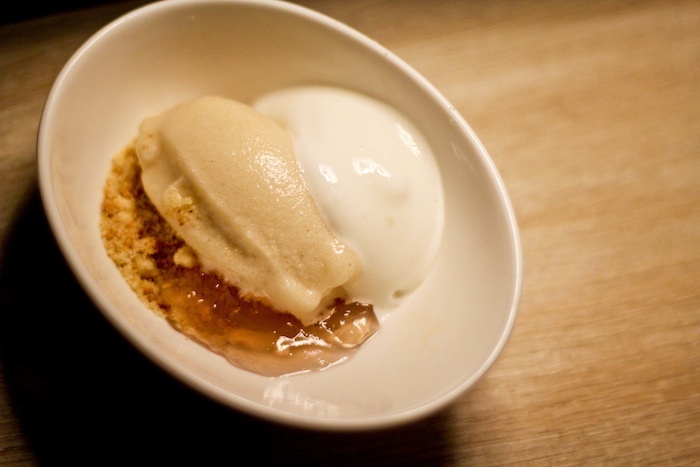 To cap the meal off, there was sherbet with yogurt, honey and cinnamon. Not as impressive, but certainly enjoyable. By the end of the meal, it didn’t matter anymore whether we ate in a traditional Spanish restaurant or not. All I could think of was how I enjoyed my initial meeting with Zaragoza. Needless to say, I wasn’t expecting Zaragoza to be so… delicious. 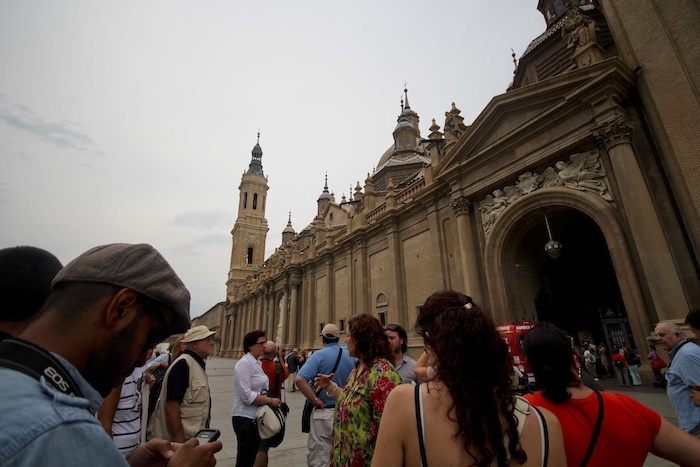 With lunch deliciously out of the way, we set off to meet the rest of Zaragoza. 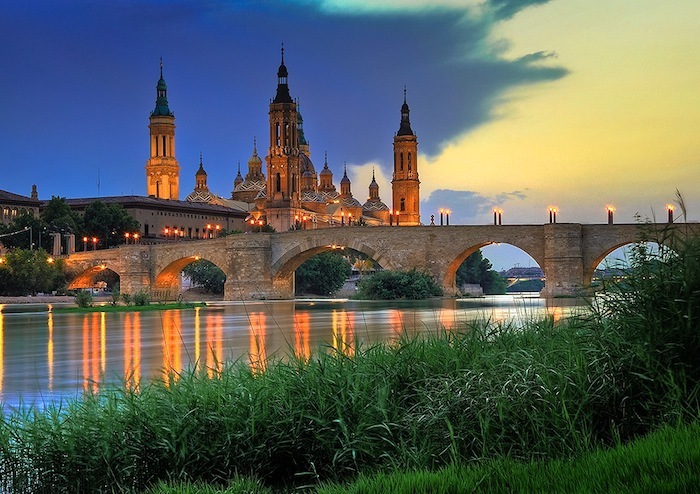 Zaragoza’s history dates back to as early as 12 BC to 24 BC when it was first discovered by the Romans and named it Caesaraugusta. But in 714, it was occupied by the Berbers and the Arabs and renamed it Saraqusta. It gets complicated from then on. Suffice it to say that Zaragoza has been through a lot. 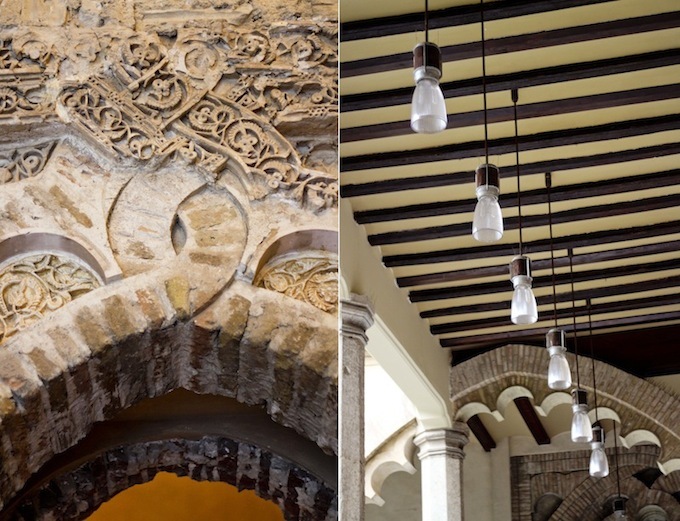 On our itinerary were three of its most famous landmarks: La Basilica del Pilar, Catedral del Salvador and Palacio de la Aljafería. The Basilica del Pilar at sunset. Photo by Paulo Brandao via Wikimedia Commons. According to ancient local tradition, soon after the crucifixion and resurrection of Jesus, Saint James was preaching the Gospel in Spain, but was disheartened because of the failure of mission.Tradition holds that on 2 January 40 AD,[while he was deep in prayer by the banks of the Ebro, the Mother of God appeared to him and gave him a small wooden statue of herself and a column of jasper and instructed him to build a church in her honor. Source. Many churches were built on this site in honor of Mary, but the present structure is the one that has stood the test of time. Today, it is one of the most visited Catholic churches in Spain and an important stopover for Camino de Santiago pilgrims. Thus, our visit here today since we were following Tren Al Andalus’ The Way of St. James itinerary. 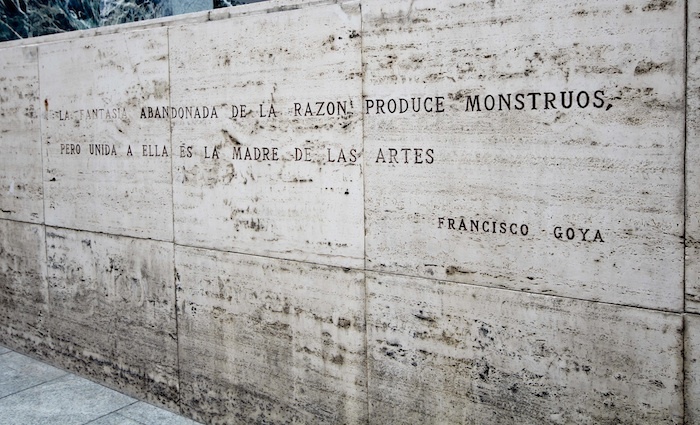 Francisco Goya, the great Spanish master, was born in a village near Zaragoza and spent his childhood here. 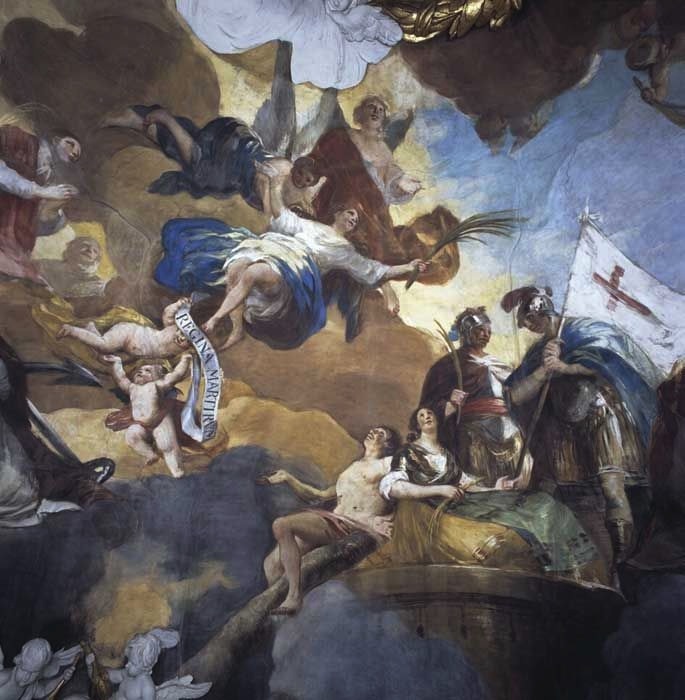 Goya is also one of my favorite painters (along with fellow Spaniard, Pablo Picasso) that’s why it was such a thrill to see his work at the Basilica. Next, we explored La Seo Cathedral or Catedral del Salvador in Plaza La Seo. 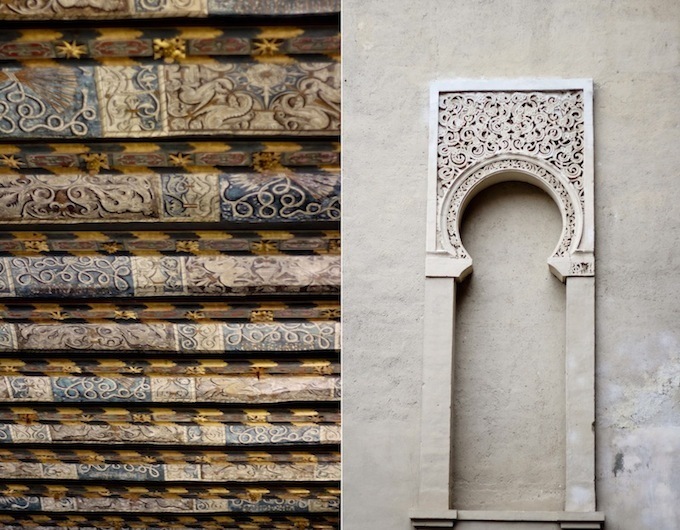 The cathedral, part of the World Heritage Site Mudéjar Architecture of Aragon, used to be a mosque. I won’t go into details except to say that it was converted into a Roman Catholic church under the rule of Alfonso I, the Battler. I found the cathedral to be very impressive with its Aragonese Mudejar-style, an Architectural style unique to Aragon. Our last stop for the day was the Islamic fortress Palacio de la Aljafería or Aljafería Castle. 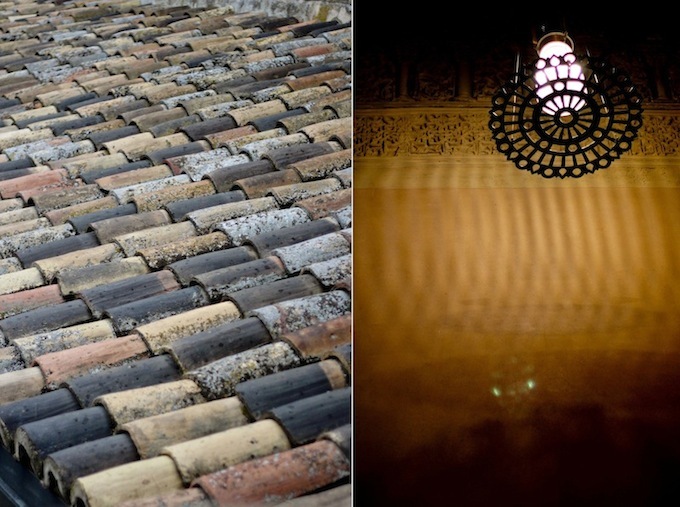 The structure holds unique importance in that it is the only conserved testimony of a large building of Spanish Islamic architecture of the era of the Taifas (independent kingdoms). Source. 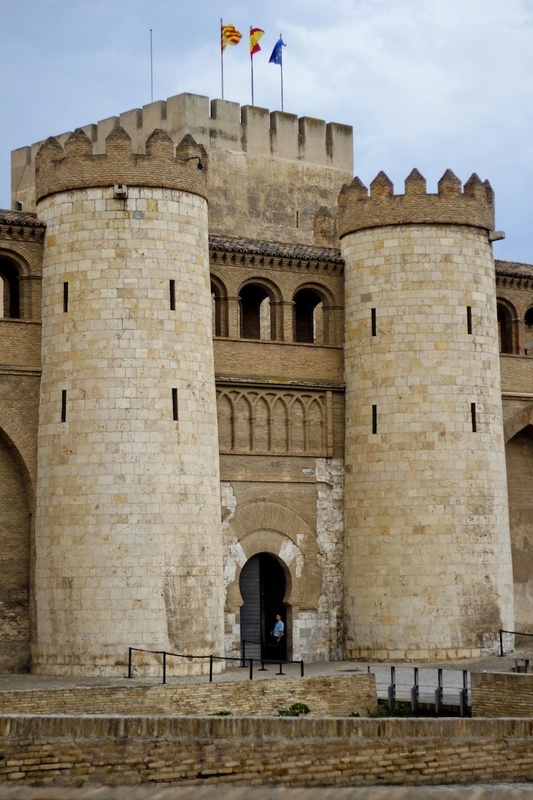 The formidable fortress is a silent witness to Zaragoza’s colorful past. 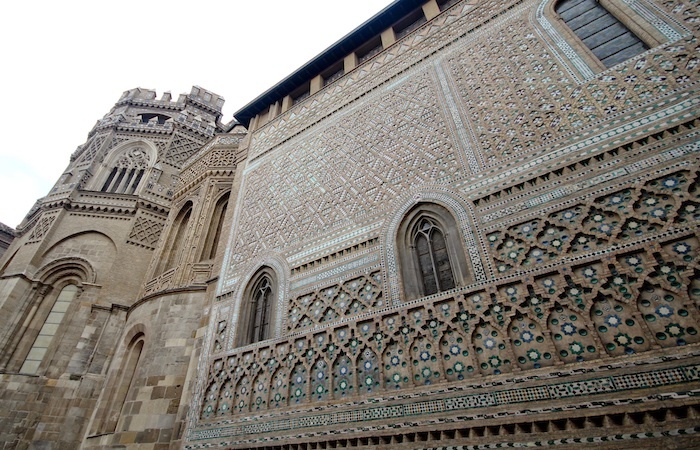 It represents the monuments of Aragonese Mudejar Architecture and is part of the UNESCO World Heritage site in Aragon. 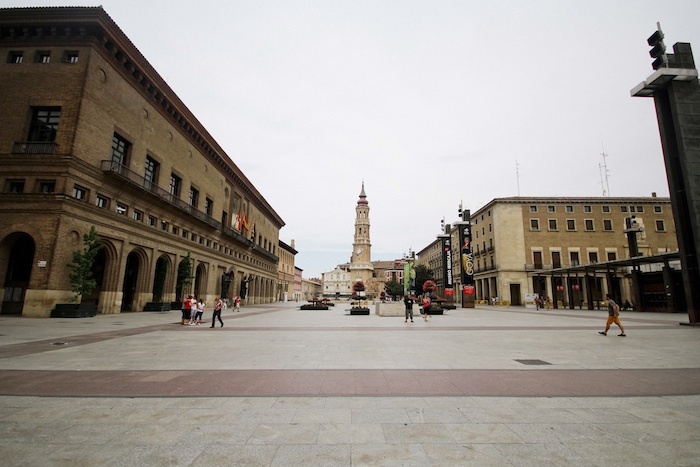 Today, it houses the Cortes or regional parliament of the autonomous community of Aragon. 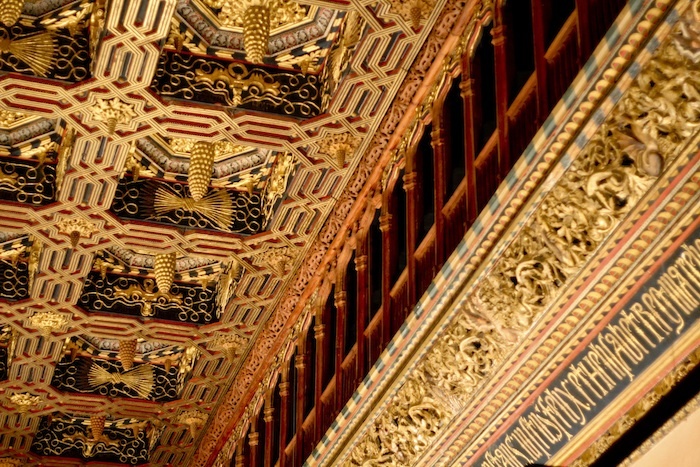 One of the most impressive rooms is the Great Throne Room where one can marvel at the gold and polychrome wooden ceiling, especially these beautiful coffered ones. By the end of the day, I was so overwhelmed with all the sightseeing and cultural explorations. One day is not enough to get to know this city whose history is so rich and intriguing it would tickle the fancy of even the non-historians among us. Very nice! I’ve been to Spain but not to Zaragoza. Didn’t realize the sights there are also impressive. 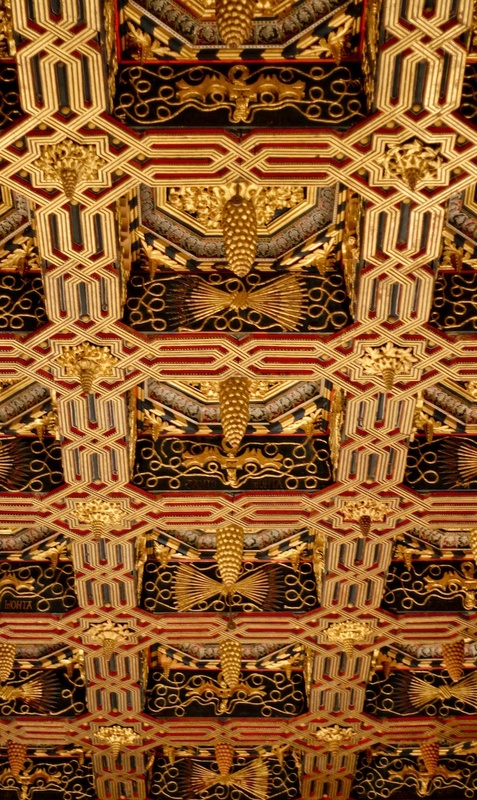 Especially liked the ceiling of the throne room! Thanks for the recommendation. Hi AC! 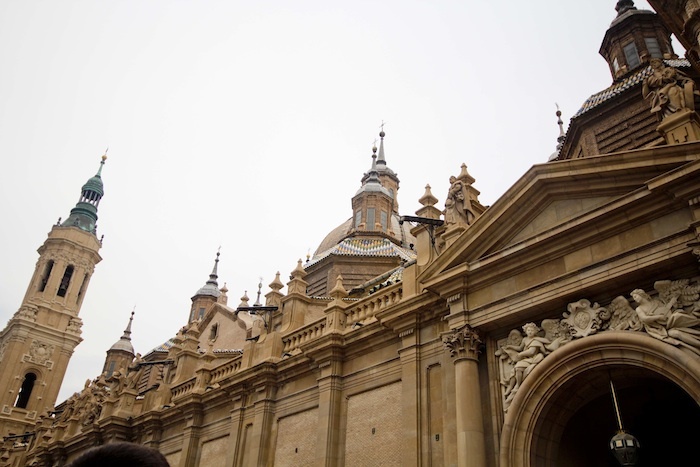 I’m sure you’ll like Zaragoza especially if you’re a history buff. 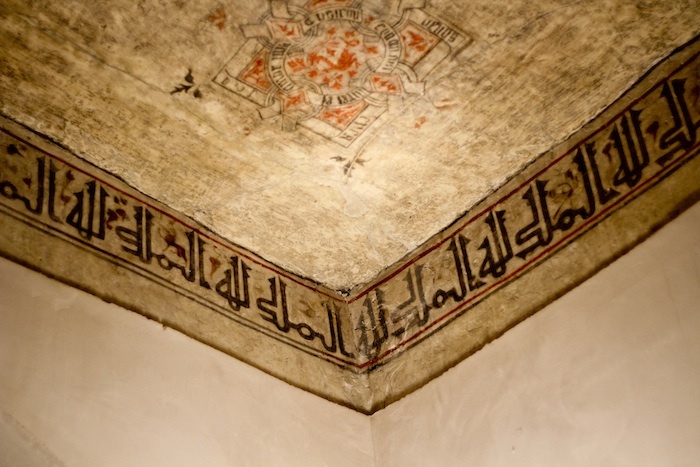 Yes, the ceiling in the throne room is beautiful. I’m afraid my photo does not do justice to its beauty. I was hungry before I saw that post. Now I’m starving! 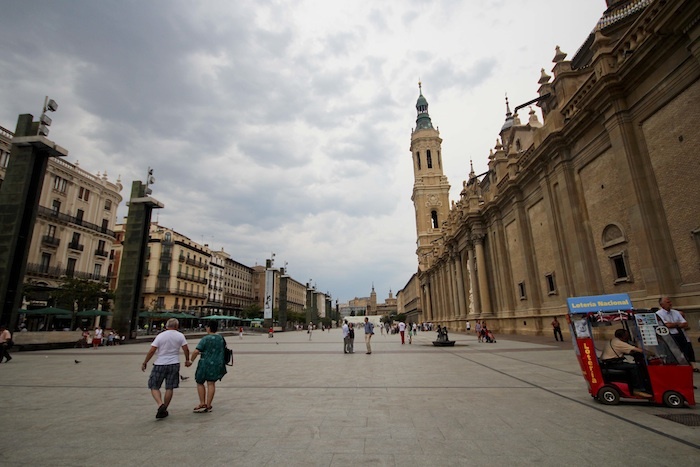 I really want to visit in Spain, when I saw this article I feel Im in that place. 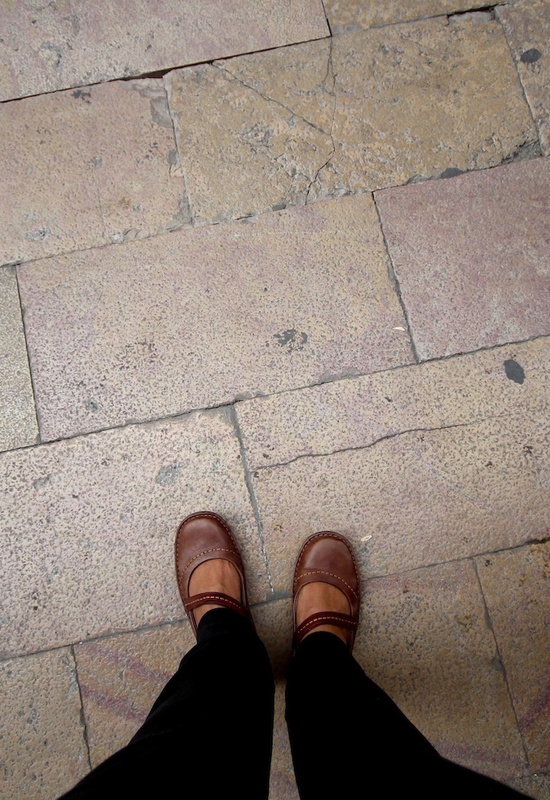 Nice blog and I love it!